By Iranian American Lawyers Association - Los Angeles , and Santa Monica Bar Association. 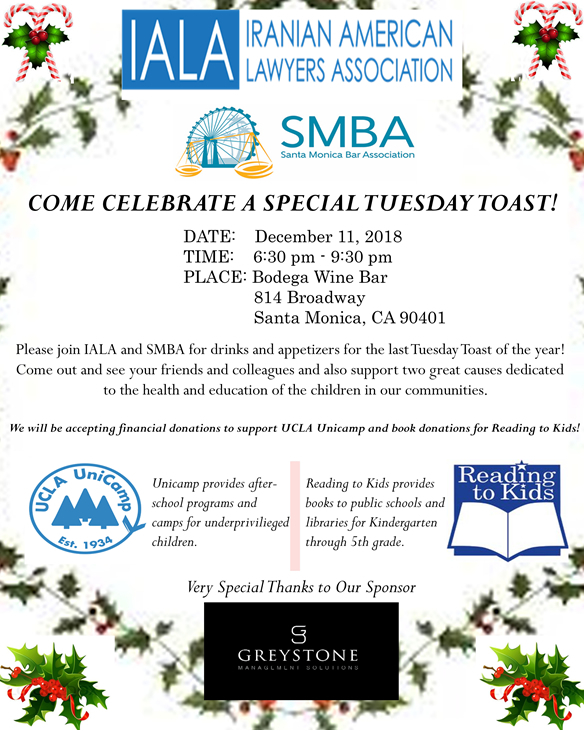 at 6:30 PM - 9:30 PM at Boega Wine Bar, 814 Broadway, Santa Monica, CA 90401 . Bring a new book for ages 5-10 to donate to Reading to Kids!